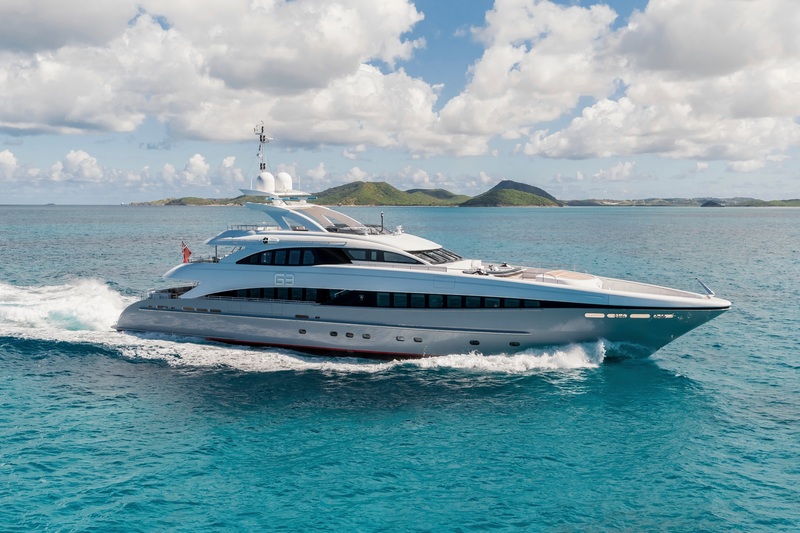 Motor yacht G3 (Ex Sibelle) was launched in 2008 by Heesen Shipyard of the Netherlands, she measures 44m (144,3ft) and accommodates 12 charter guests, in 5 luxurious cabins. 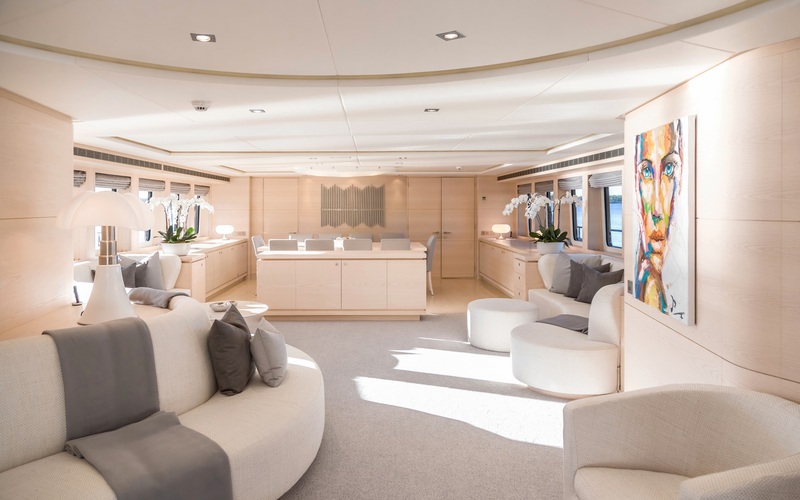 She has a semi-displacement aluminum hull and is the 3rd yacht of the 4400 semi-custom series by Heesen. Naval architecture is by the Heesen Design Team. 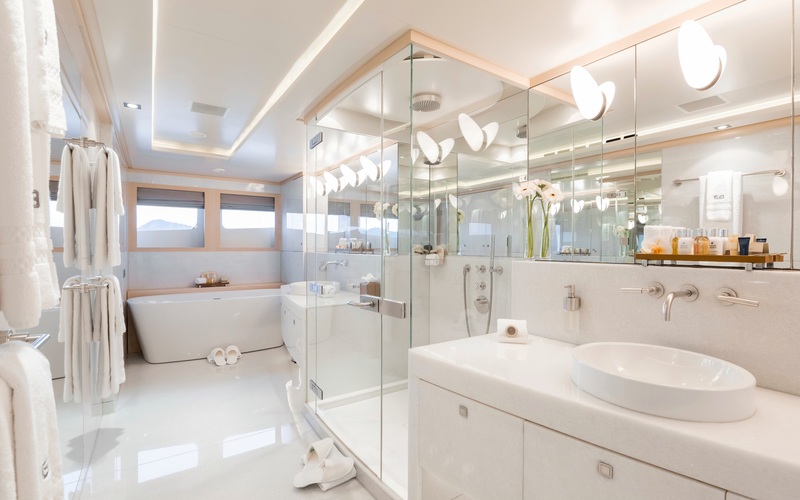 She features interior design by Omega Architects / Michael Labazov Team. The sumptuous interiors are beautifully crafted in light woods, featuring elegant bespoke curves and generous living space. Furnishings are neutral, complimenting the pale woods and ample natural light. 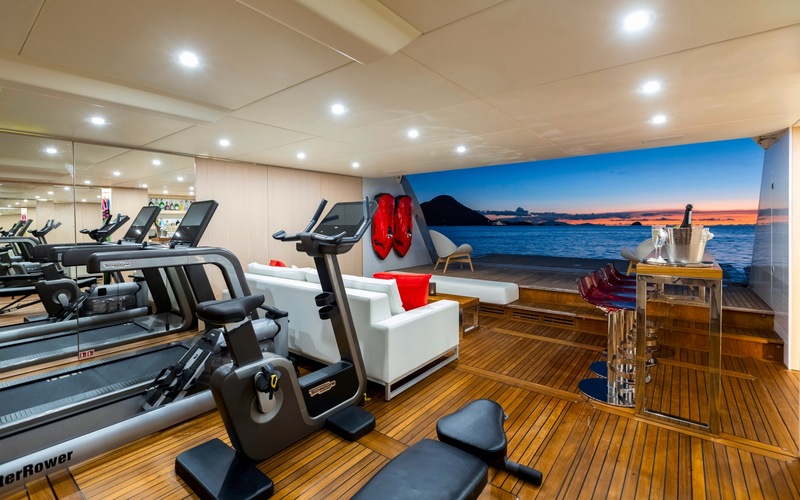 On the main deck is the timeless salon aft, with the formal dining forward and separate. 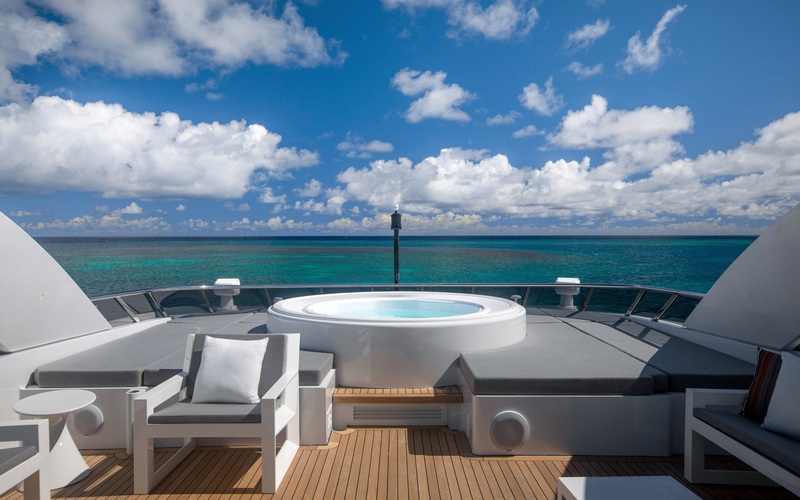 Her master stateroom is a full beam of the yacht on the main deck, forward of the salon with a private foyer entrance. 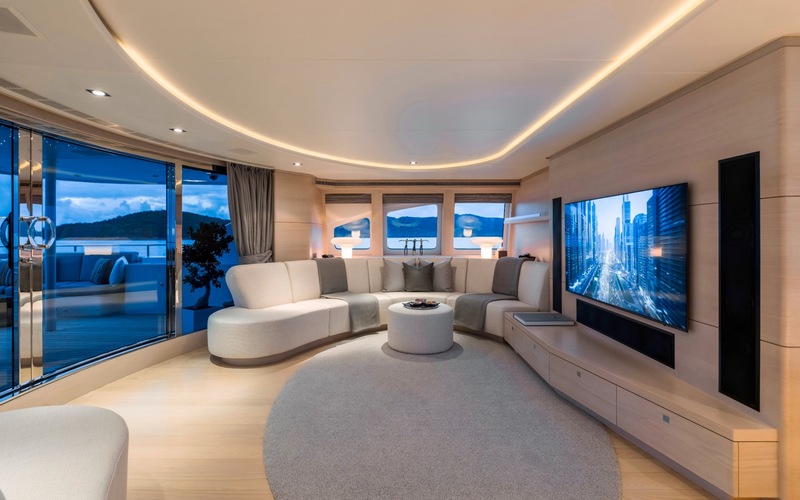 The yacht features a spacious sky lounge, that easily converts from bar and social space to media room. 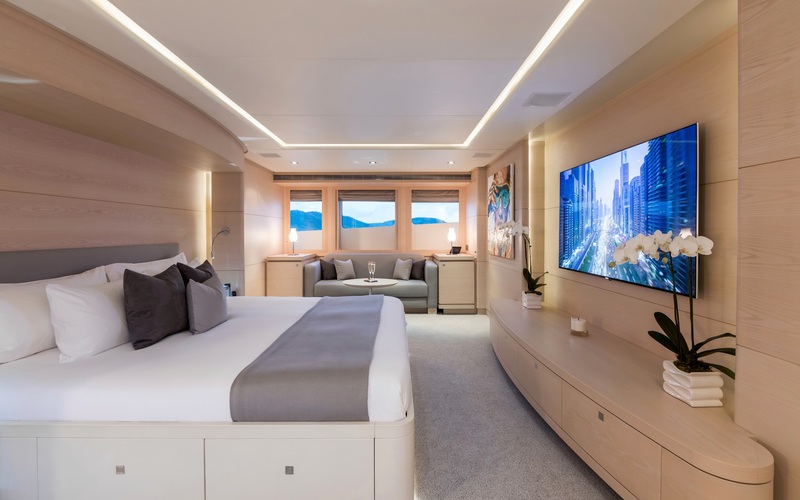 Below decks are four additional guest cabins, consisting of 2 double and two twin cabins, each offering a stylish and serene ambiance. The exterior living is laid over three well-appointed decks. 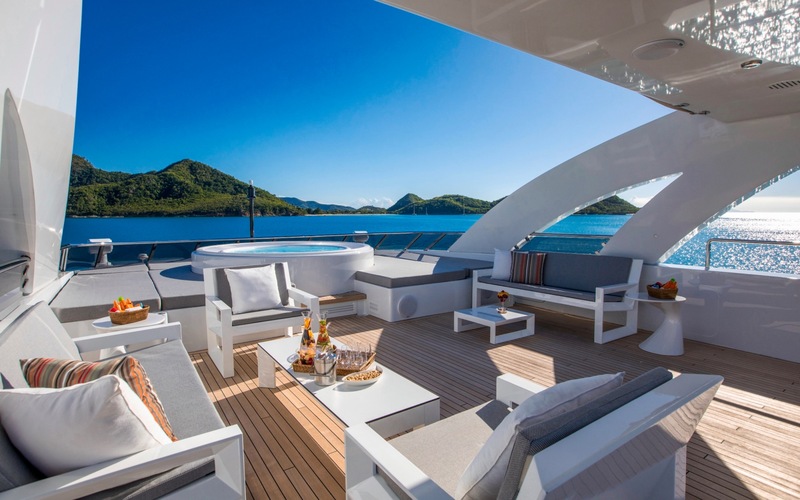 On the main deck aft, relax in comfort on the fully fitted exterior lounge. From here, dual transom steps lead the extended swim platform and water toys area, complete with a fitness gym. 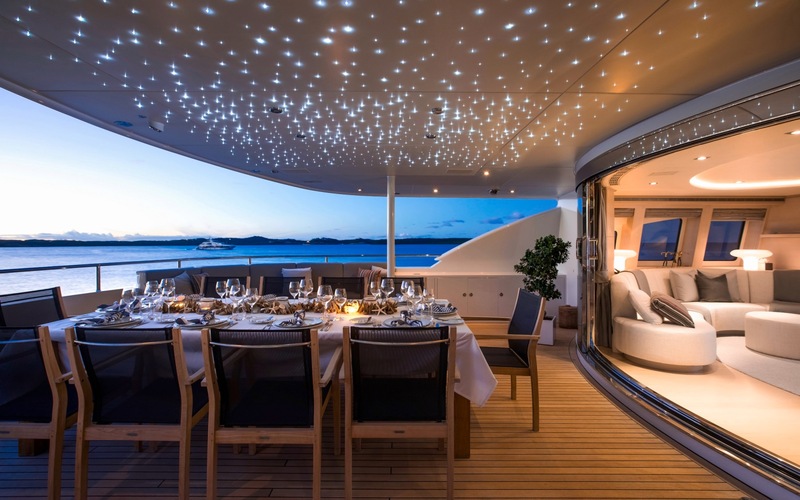 A raised foredeck has a large seating area with sun pads. The upper aft deck is adjacent to the sky lounge, offering an alfresco dining option and further relaxing seating. 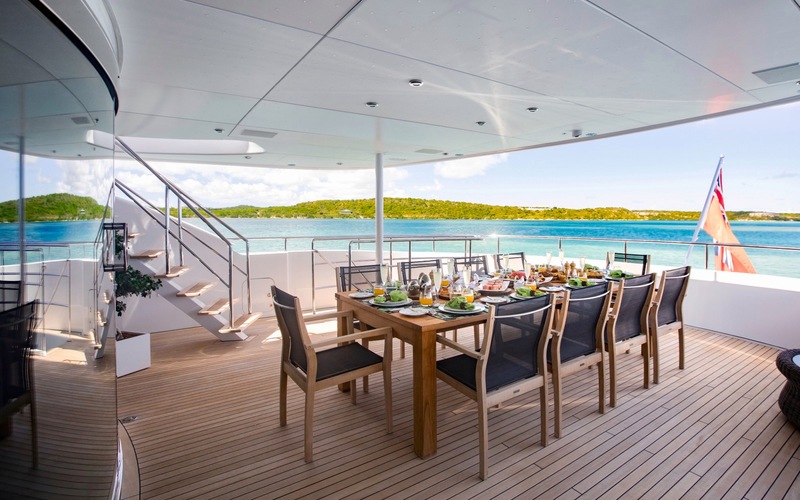 Her sundeck is a fabulous social space for sunning, alfresco dining and entertaining. Powered by 2 x MTU 5,440hp engines, she is capable of cruising at speeds of 20 knots and reaching impressive speeds of 23 knots. Accommodation is in 5 cabins, for 12 guests, she carries a professional crew of 8. 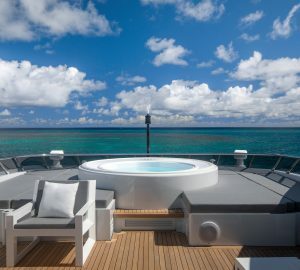 The master stateroom is on the main deck forward and full beam of the yacht, with a king size bed, sofa and private study. The study in the master cabin has an optional conversion with 2 Pullman berths. 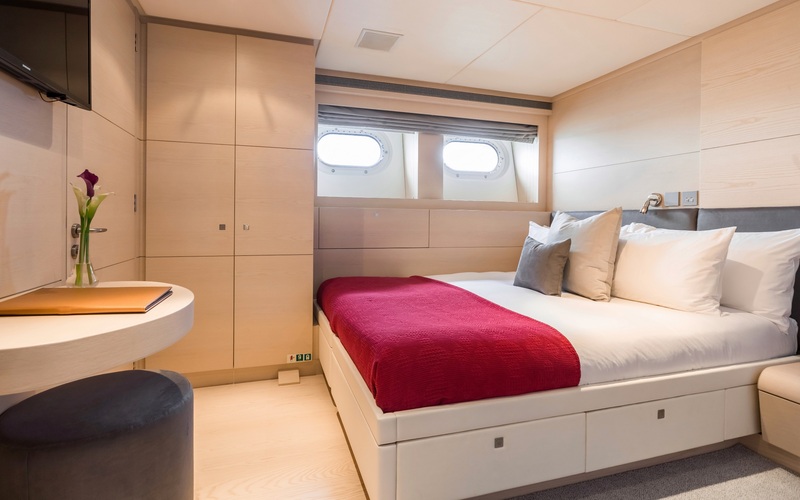 On the lower deck are 2 queen size cabins and 2 twin cabins, her twin cabins also convert to queen cabins if required. All guest cabins offer private ensuite facilities.